Amid ballistic missile tests by Iran’s Revolutionary Guard and continued economic and political isolation, Iran’s domestic unrest is escalating. 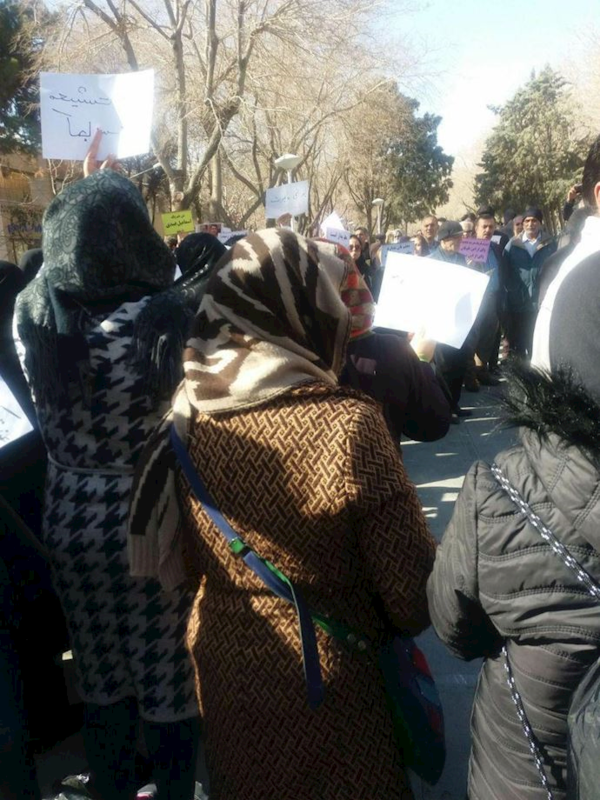 Angry Teachers in the provinces of Kermanshah, Alborz, Isfahan, and Ardabil rallied on Thursday, Jan 24, 2019, protesting delayed paychecks and poor living conditions. Skyrocketing prices of everyday goods and inflation are becoming major concerns for these hard-working and yet deprived teachers throughout the country. Teaching is one of the most appreciated professions today. Unfortunately, in Iran, the situation is just the opposite: teaching is one of the most poorly paid professions in the country. 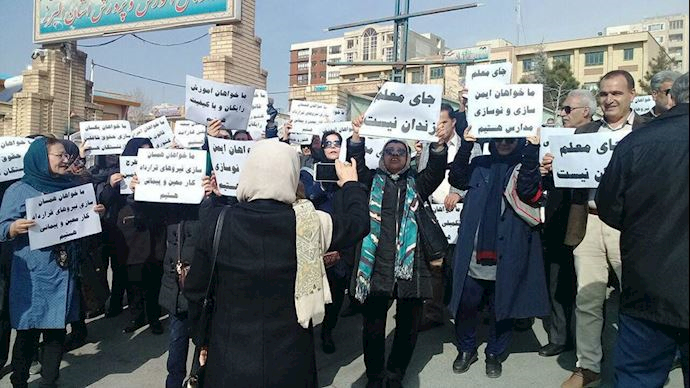 In recent years, teachers in Iran who call for better working conditions have launched campaigns to protest against teachers' severe living conditions, very low quality of social insurance, and zero-level job security. As a result, they have faced harassment and imprisonment. Teacher demands include signs and slogans such as "Detained teachers must be freed," "NO to prison for teachers," "Teachers’ future must be secured," "Proper jobs and security," "Teachers must rise to end the discrimination and a low monthly salary," and teachers must "have their own independent syndicates and associations." 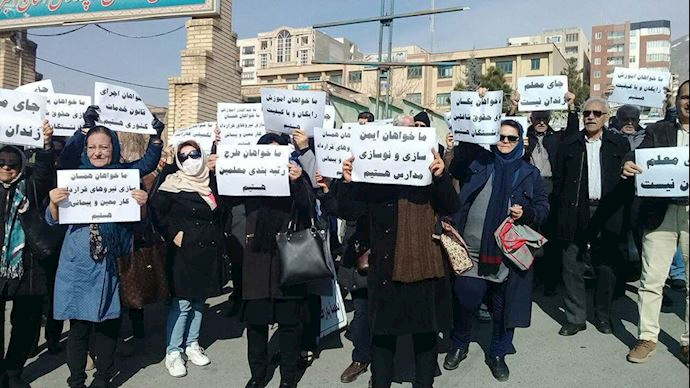 A group of teachers in Ardabil, northwest Iran, rallied outside the provincial Education Department, protesting officials’ refusal to respond to their demands. 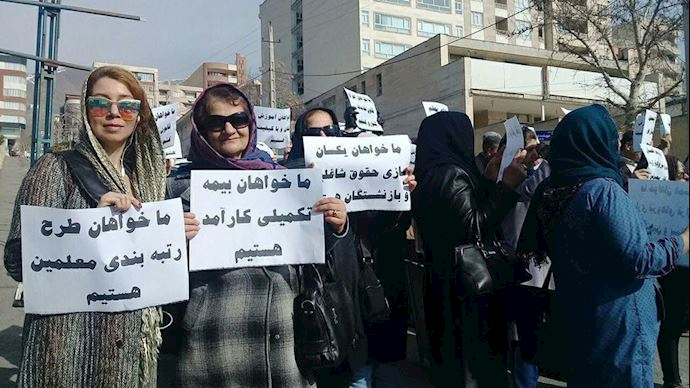 In Alborz Province, northern Iran, the teachers were chanting, “Inflation, high prices, answer to us Rouhani,” referring to the regime’s President Hassan Rouhani. 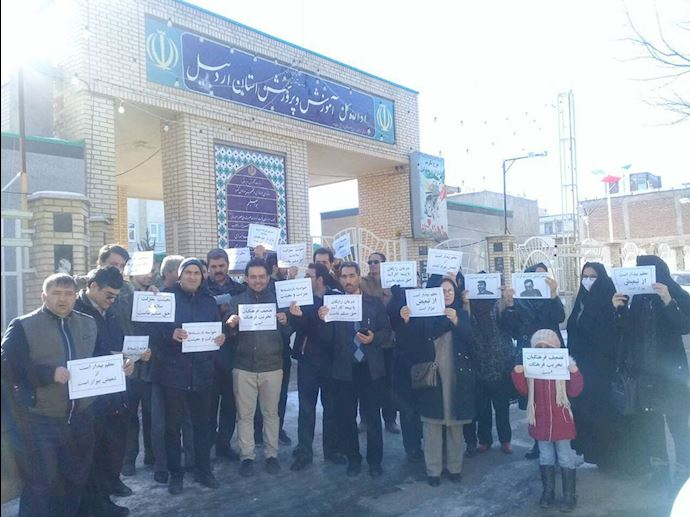 In Isfahan Province, central Iran, the teachers were protesting against all the injustice they are suffering under the mullahs’ regime. Following various measures, especially the large rally held on January 10 for the provincial teachers, to this day we have received no answers to any of our demands. Therefore, we have decided to recall our demands alongside teachers of other provinces, and protesting retirees. 1. Unconditional release of all jailed teachers and closing all judicial dossiers against teachers. 2. Kermanshah Province should be considered a war zone (due to recent earthquakes) and enjoying all the resulting support for the residents and teachers. The current policies that fail to do so are leaving the current and retired teachers with dire need of aid. 3. Stopping all types of threats and illegal summoning of teachers due to their professional and association activities. 4. The government must cancel all plans described as “Full Time Teachers” that are against their rights. 6. Increasing teachers’ wages and retired teachers’ pensions higher than the true inflation rate. 7. Teachers should receive wages equal to other government employees. 8. Canceling all failed insurances and launching an effective insurance system for working and retired teachers. 9. Providing necessary funding for schools, establishing adequate learning conditions, decent public schools. 10. Canceling all plans to privatize public schools. 11. Recognizing associations of working and retired teachers, and lifting all limitations and pressuring measures. 12. Ending any type of education injustice for all students while providing adequate care for inadequate schools in villages. 13. Classifying all teachers based on their experience. To end this, with Iran's protests increasing, the question now is, to what extent can Iran's regime tolerate such pressure? We are all witnessing that time is running out for the mullahs, especially when we see the significant role of "resistance units" who lead, organize and sustain protests, the recent uprisings of Iranian people are showing now how close the regime is to collapse. Association in Defense of Freedom in Iran (ADFI) is committed to defending Iranian individual rights and proud to provide legal and ethical support of their protests for freedom and democracy.